OnDemand Pro is designed for our account holders providing faster and more reliable transfers. Simply login and download the OnDemand Pro software, add your selected files, size and product along with you account & shipping information and if you have the files in by 10am we will ship them out the same day (Lustre & Metallic paper types only. Allow 3 days for other paper types). With We Print Photos we offer a very efficient ‘Direct Output’ photo printing option for our non-account holder clients or for people wanting to pay via credit card. This is a very popular way to get quality photo prints the same day! Just download the (free) We Print Photos software and you can start uploading immediately. 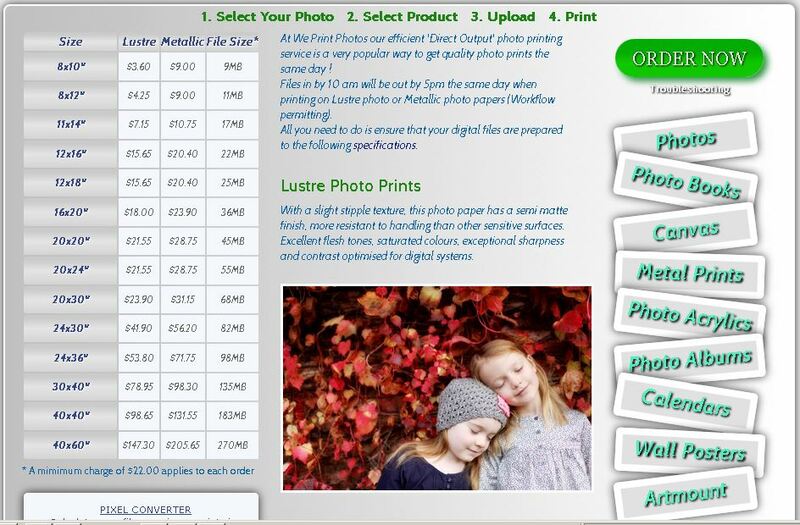 As with OnDemand Pro if you have your files in by 10 am we will have them out by 5pm the same day when printing on Lustre photo or Metallic photo papers (Workflow permitting). TIFF Recommended compression: Uncompressed without channels or paths. 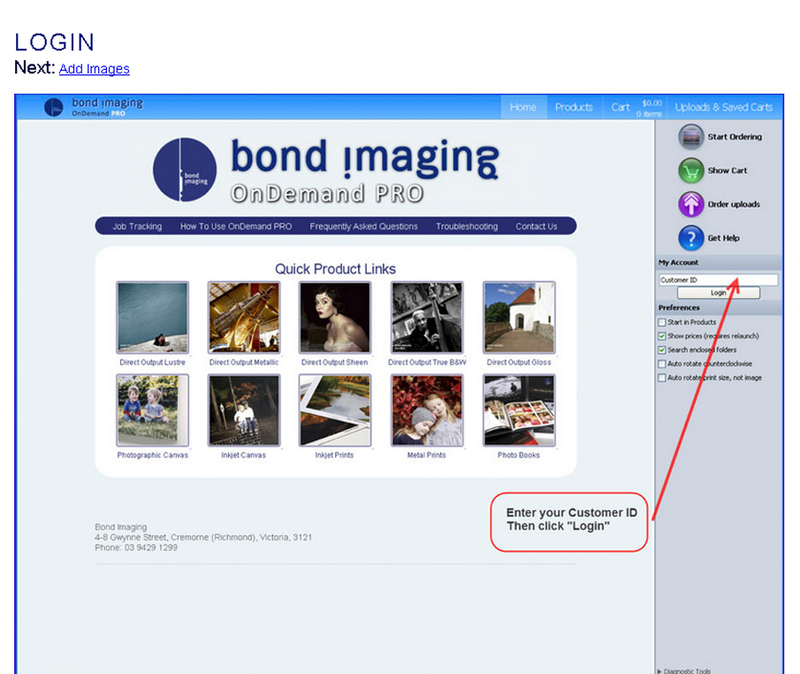 Over the coming weeks we will post some handy hints to help your online ordering experience much easier along with ways to help you get the best possible results for your images. So don’t forget to check back regularly to get all the inside tips & tricks.